I wondered if the Farrar's were also Methodist Presbyterian as I noticed a few Ministers? 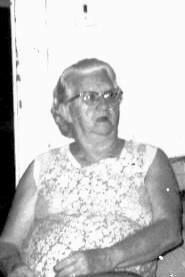 This is my Grandmother Lillian Mae Griffith Rice B 9 Sept 1898 D 24 June 1977, she is a direct descendant of William Griffith and his wife Sarah McCubbin, so I guess we are related. The story was told in our family that William Griffith was hijacked while in London and brought to MD to work as a planter. My research has led me to he was from London, born in Wales, came to MD on a ship with 2 men who were paid to bring people to MD. After a number of years William was given land. 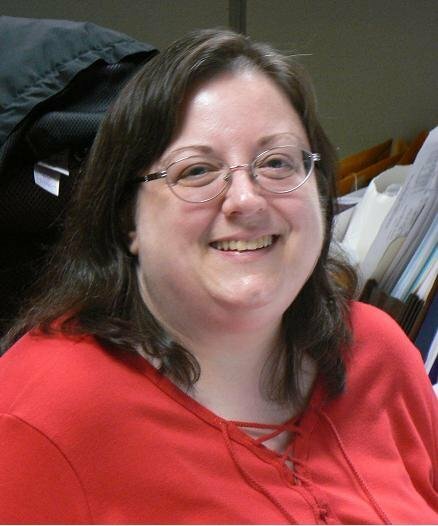 Please see the website I have copied for you here: [www.bedinger.org] Anyway HI COUSINS! I47638 Regarding Henry Baylis(s). His mother Jane Blackburn b. 1733 m. John Baylis in 1754. Henry was the 3rd of 5 children. Jane was the daughter of Col. Richard Blackburn and Mary Watts (Ashton)(Blackburn) of Rippon Lodge, Prince William Co., VA. Your chart shows Jane dying in 1765. Actually it was John Baylis b.1727 who died in 1765 while dueling. After his death, Jane remarried Cornelius Kincheloe. She d.1774. I offer for your further research, "The Baylis Family of Virginia," by Willetta Baylis Blum and William Blum, Sr., 1958 Shenandoah Publishing House, Inc., Strausburg, VA. This is a beautiful well thought out site. I was doing some research in the area of Basina and Clovis I & stumbled onto your site. It looks like we may have some common relatives, with some being around the same timeframe that I was checking on (Clovis & Basina among others). It also appears there are others located around the "de Vere" surname and along those lines & times. Genealogy sure does turn up unexpected things, don't you agree? Hi, I'm Peggy Hogue, daughter of Wilson B Hogue and Katie Pearl Brown. I can give you a lot of information on my Dad and his brothers and sisters and their descendants. We have a Hogue group set up for Wildon and Katie Hogue and another for Vance Hogue's family. I just found this site and genealogical information on Paul Nelson Grymes, son of John Randolph Grymes and his wife Roberta. In case you are intersted, I have information on John Randolph Grymes, a pharmacist (1868-1944) and his wife Roberta Virginia (Garnhart) Grymes (her maiden name: Garnhart, 1869-1917.) I am a distant relative in one of the family lines of Roberta Virginia Garnhart. Feel free to email me directly. I have posted the information Also, I have found so far in an Ancestry.com Public Family Tree, if you have an an Ancestry.com subscription: Knight and Ogden Families, Waupaca, Wis. I am daughter of Lawrence Roberdon Hoge Jr and have list of his children grandchildren and great grandson. I am the 8th great-granddaughter of Dr. John Johnstone, who came over on the Henry and Francis with his future wife Eupham and her parents George Scot and Margaret Rigg Scot in 1685. Have you had any luck in finding the father of Rev. William Johnstone of Laverocklaw or the area where John and his family lived? I am William Lane, son of William Edward Lane and Clara Lucille Hayes, grandson of William Ross Lane and Effie Mildred Cochran. I have been browsing looking for family info. I am the granddaughter of Marion Gregory Howard. She was the daughter of Marion Percy Howard and Maria Powell Gregory of the Hanover, Virginia area. My grandmother lived in Pineville, WV as a child and then Glen Rogers, WV when she was married. She married Walter Sidney Brooks and had two children, Sarah Sidney (who was my mother) and Marion Howard Brooks ( my uncle). She died in Beckley,WV and is buried in Sunset Memorial Gardens there. I have noticed a few errors. I just recently submitted forms to the SAR and DAR - records had to be searched and proved. I can help correcting errors listed. "Howe, Hood, Montgomery"
their address was in my Mother's address book. I can't find a death record for her or her husband! This bunch and their mystery is driving me crazy! I was glad to see Mary Peyton Randolph's name here though when I Googled her yet again! Well, I filled in some for you! Fletcher's parents were: John Alexander Rosborough 1842-1920 and Mary Eliza King Rosborough 1849-1920(? )both from Ridgeway, Fairfield Co. South Carolina. Came upon your website, during a search. Thanks for the comments, however you might want to change the page where you mention me. I am a "him", not a "her". Boots is a family nick, much beloved, bestowed on me by me grandparents at age 2, over a pair of cowboy boots given to me by my father. I tried to give more info but got a guestbook error about invalid words. Hi, Am a descendent of Thomas Howe,9th Child of Earl Scrope Howe. Fantastic website and great work. Will definitely be back for a much more in depth look! If you are interested in participating in a Joseph Howe DNA comparative study with his potential English Howe progenitors (including Earl Howe), please let me know. I’m aware of Thomas Howe and his son George Happy.